True Jyoti...his likes are a rarity even in this generation! Grandparents are so special and I love how you invited your mom and aunts to share their memories too. Thanks Suzy! They were so supportive and considering we were on a time schedule here they all sent their write ups dutifully! Hehe...love them for that! What a super idea to get your mum and aunt to talk about your grandfather. He sound a very interesting person. Enjoyed the post. :) I enjoyed this so much too! Loved the way you have woven this post full of memories of your grandfather, Aditi!! Awesome. You all are so proud of him and loved the evening tea together ritual. Such a fab time to bond. Wow! your aunts and your mom did that so we can have a peek into the lovable ma your Nanaji is. Ah! So beautiful. Grandparents are so much fun! :) I know Kajal...sweetest creations of god...grandparents! So true Jeevan...he is one person who holds the entire family together... Not just his immediate family but even the second and third cousins etc. Everyone has such a huge regard for him. We all are truly blessed! Thanks for ur inspiration and motivation dearest Aditi! This is such a wonderful way of telling Nanaji how much u love him :) A big hug to u from momy, keep it up my girl!! Yes Tex...n the center my grandparents! I had goose flesh in the end. I could suddenly imagine this family in front of my eyes. 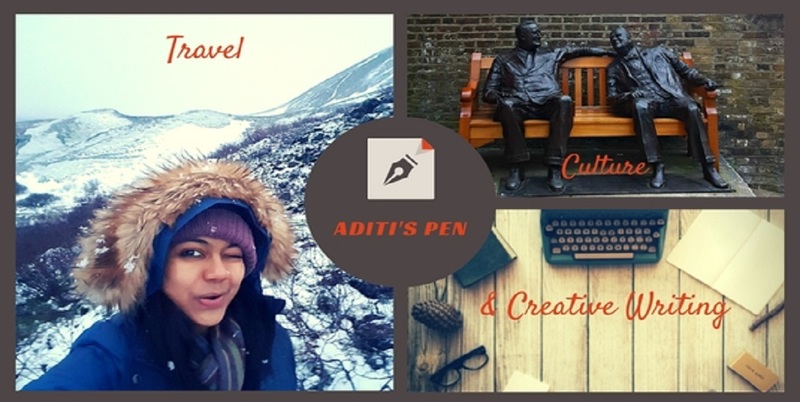 And it had so many things common with mine..Aditi thanks a lot for sharing with us the story of the man who we might never had a chance to meet if not for you :-) Please do keep on doing this always.. Awesome post. Loved the way you got your mom and aunts to share their memories of the man you admire. Aditi congrats for this initiative. 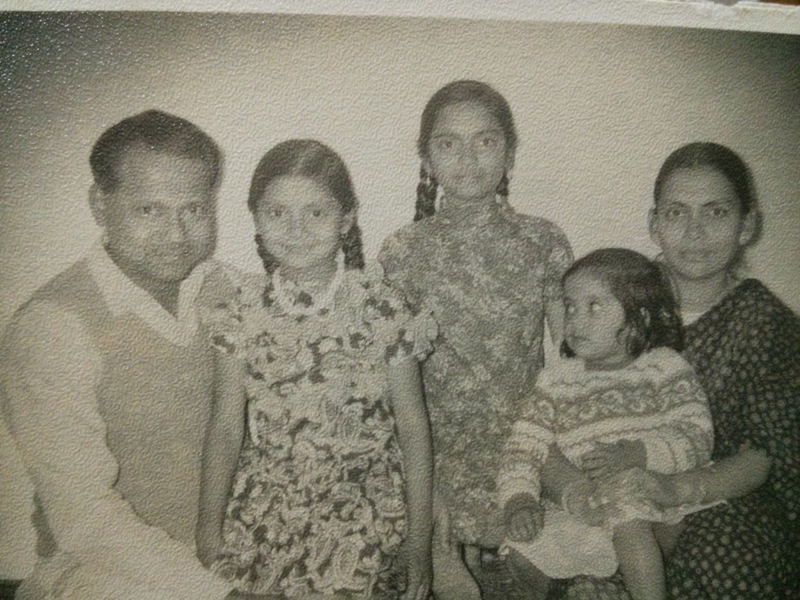 Reading this blog made me nostalgic going back to my teens on 19th January, 1956, when I first met your Nana Ji. my brother-in-law ( Jija Ji) on his wedding day with your Nani Ji, my eldest sister (Jiji). I was then 13 years & for me the wedding ceremonies were great fun & feasting at our home at Sitapur, U.P. Wedding party those days used to stay at bride's place for 3 days for many interesting ceremonies & in one of the ceremonies I heard his Shayari for the first time that was then beyond my comprehension. At the the time of departure of wedding party back to Agra, Jija ji asked me what would I like to have as a gift. I thought I will ask something impossible for him to gift......I asked TAJ MAHAL. On his first visit to our home after marriage I was amazed & thrilled to receive a very beautiful Taj Mahal made of marble packed in the gift box. That was the beginning a very special bond between us, he bestowed utmost love & affection to me & I have held him in the highest esteem with respect since then. I had the privilege of staying with him at Baharaich & Lucknow and Alka, Amita & Anuradha grew up in my hands. I found Jija ji having intense interest in Shayari, literature & history that he often used to discuss and sing his Ghazals. He used to love playing 'Bridge'..... I learnt this game of cards playing with him. Jija is a complete package on art of living in complete harmony & tune with mind, body, & spirit with everyone in the family. Thanks Pixie :) He IS awesome! Thts such a different take n such a honour for ur grandpa! He was so happy Meena...I could tell from his voice and he went through all the comments too and enjoyed this love! Such a lovely idea to get your aunts and mother to share their memories of your grandfather. For a daughter, a father is the MOST PERFECT man in the whole world. And that is what has come across so beautifully. I read this on my mobile first and as usual was swept away by your post. It is a lovely way of bringing together the three beautiful daughters to share their memories about their father, via your blog post. Your nanaji is an exceptional person and also really lucky to have such amazing women in his life, you included!